March 1, 2012 Daniel K.
Keane is pleased to announce that Apple has once again recognized Keane as an "Apple Premium Service Provider" for its San Francisco Mac repair service location. According to Apple, "Premium Service Provider locations have demonstrated a commitment to premium service and technical excellence during the second half of 2011." 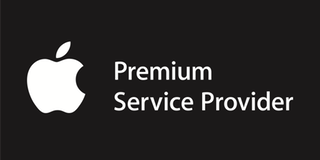 This is the second consecutive time that Keane has been named an Apple Premium Service Provider. Only a select few Apple Authorized Service Providers receive this recognition from Apple. Keane is the *only* Apple Authorized Service Provider in the entire San Francisco Bay Area to achieve Apple Premium Service Provider status to date. Keane is the Bay Area's leading Apple Authorized Service Provider. Keane provides fast and friendly Mac repair services, upgrades, parts and accessories for all Apple and Macintosh models including MacBook Pro, MacBook, MacBook Air, Mac Mini, iMac, Mac Pro, PowerBook and iBook models.